Who Knew You Could Rent an RV for $1 a Day?! It’s rare to find a deal that seems too good to be true — and is, in fact, true. Your gut’s usually right to question outlandish promises and tempting headlines. But this time, it’s true: You can rent an RV or car for $1 a day. I know — we almost couldn’t believe it either. All right, let’s get the details. Rental companies have to move vehicles around to meet demand in certain cities. If a glut of vehicles has made their way to New York — but not back to Indiana, Colorado or Washington — those other locations have to somehow be restocked. Instead of taking on the full expense of sending an employee to drive a vehicle across the country, companies rent their vehicles to you. And in exchange for sticking to their schedule and destination, you get a steep discount. You can find relocation deals for RVs, as well as cars, trucks and campervans. These deals are most common in the U.S., Australia and New Zealand. Rarely, they’re also available in Canada and Europe. The most common routes in the U.S. are along the west coast. But I searched for upcoming deals in the U.S. on iMoova and found most routes in January and February run from New York to Los Angeles, Las Vegas or San Francisco. The best deals are usually posted a few weeks out, so you have to be flexible with your vacation plans. To find deals, search iMoova or Jucy for the U.S. See the full list of resources at Thrifty Nomads for other countries. The rental price is straightforward. You really will find plenty of routes for $1 a day. I also saw some shorter routes for $10 a day, and those posted months in advance may be priced closer to $25 a day — so it’s worth waiting to book until closer to when you want to travel. Of course, a road trip involves costs beyond vehicle rental. Generally, you’ll pay for gas, but may be partially reimbursed or receive other incentives like a free tank of fuel or free kitchen kit for the vehicle. Unless you’re very lucky, completely flexible or a brilliant planner, you’ll probably also have to pay your way home — a return flight, bus, train or regular-price car rental. Keep an eye out for cheap flights. You’ll also have to cover food costs — but you can be thrifty about it, especially with a kitchen in the RV! If you don’t have a shower or toilet in the vehicle, you might pay to use travel center showers or spend a night at a hotel or campground. Some companies charge extra for kitchen supplies or linens. Plan ahead and bring your own if they’re not included. Some companies allow for unlimited mileage, as long as you meet their timeline. But some restrict mileage to only what’s needed to get to the destination and will charge fees per extra mile. Do your research, and plan accordingly. Check on insurance coverage ahead of time. Some companies include it; some don’t. You may have to purchase insurance, but it may be included in your own insurance coverage — or your credit card may offer rental car insurance. You’ll probably have to make a deposit using a credit or debit card. If you don’t think you can cover it, try this travel hack to avoid an outrageous deposit. That’s a seriously thrifty vacation! 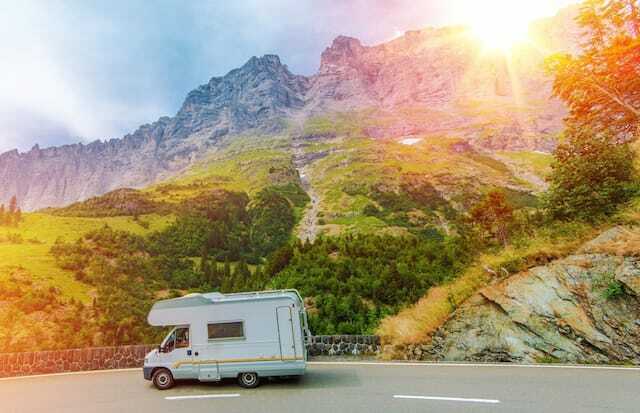 For the full details and more tips to take advantage of RV relocation deals, read the full article at Thrifty Nomads. Your Turn: Have you ever rented a vehicle through a relocation deal? How much did it cost? Dana Sitar (@danasitar) is a staff writer at The Penny Hoarder. She’s written for Huffington Post, Entrepreneur.com, Writer’s Digest and more. After discovering this guide, she is almost certainly in an RV in the middle of New Mexico as you read this.